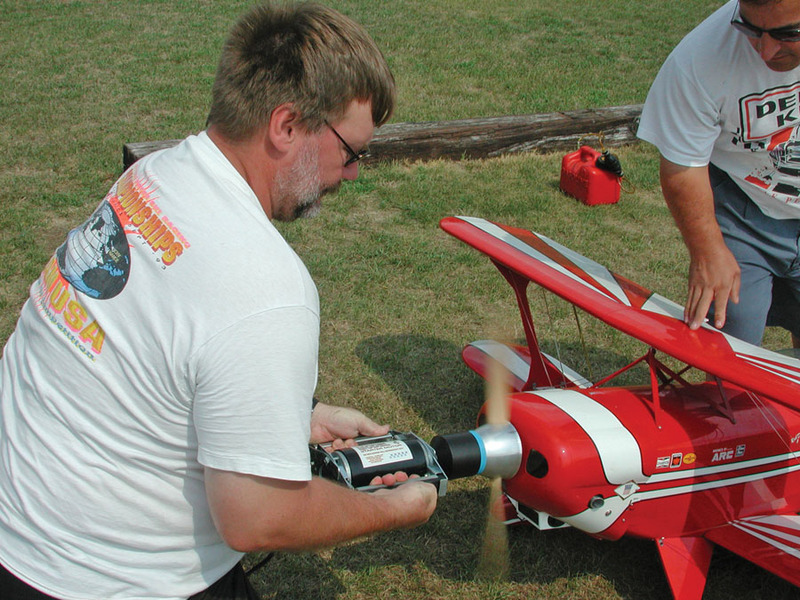 When it comes to firing up gas or glow model-airplane engines, safety always comes first. 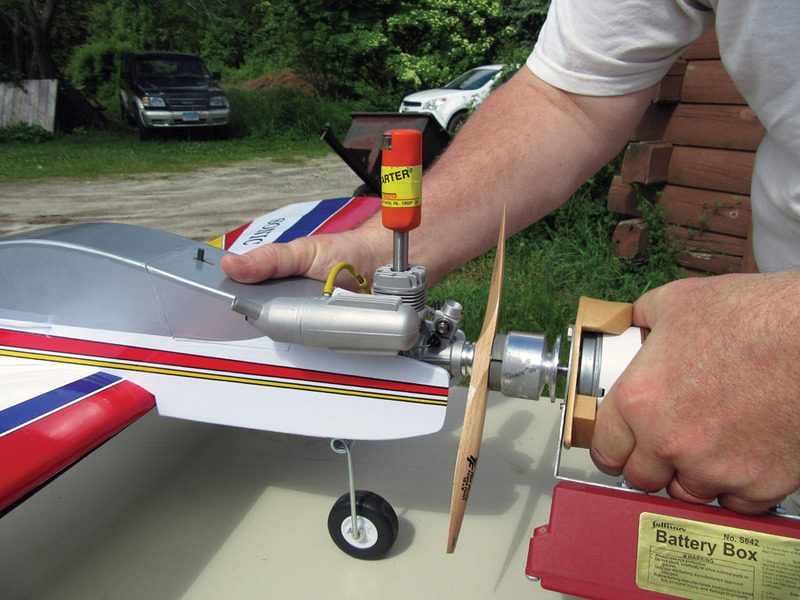 That’s why Model Airplane News editors always recommend that you secure your airplane first and then use an electric engine starter to fire up your model airplane’s engine. A high-quality tail restraint and a powerful engine starter are both at the top of the list of essential field equipment. ONE. Use a positive restraint to prevent the airplane from moving forward once the engine starts. 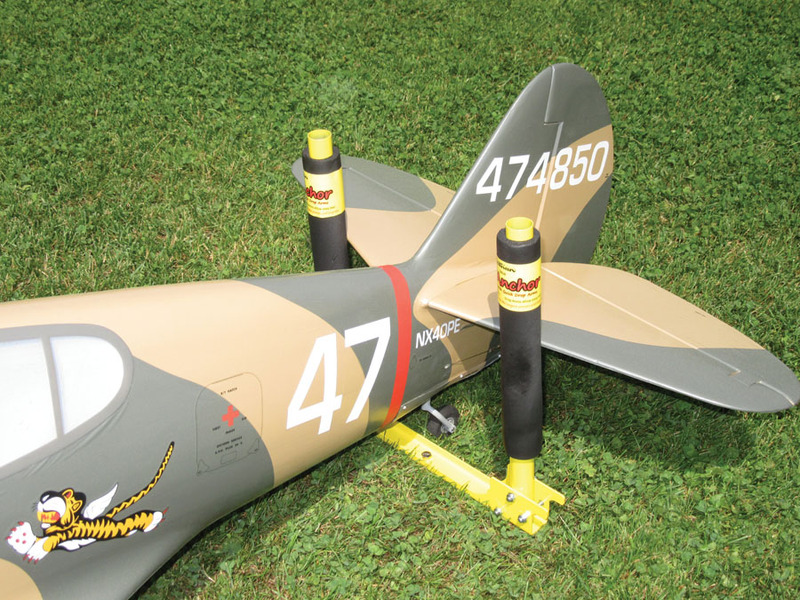 The Tail Anchor from Sullivan Products does a great job of holding your airplane in place. It has a long spike that you drive into the ground, and two padded tail restraints that brace the model at the front of the stabilizer. These restraints are easy to disengage and lay flat on the ground when you are ready to taxi to the runway. TWO. Even though you are using an electric starter, don’t try to start your plane’s engine by yourself. Have a friend secure the model before you engage your starter. You’ll have to push the starter cone firmly onto the model’s spinner or prop hub, and if your model is only secured with a restraint, it can lunge forward when the engine starts up. Also, with one hand on your plane and another holding your starter, it is difficult to get to your radio’s throttle stick should you have to quickly adjust the idle. THREE. 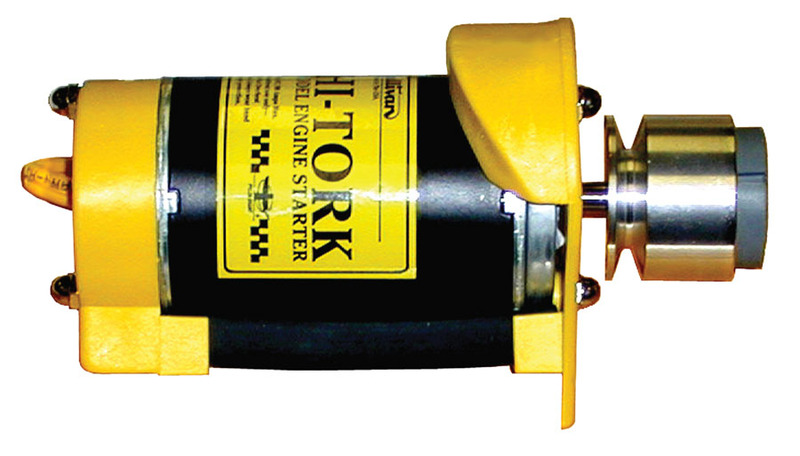 Hold your starter straight and aligned with the engine’s centerline. 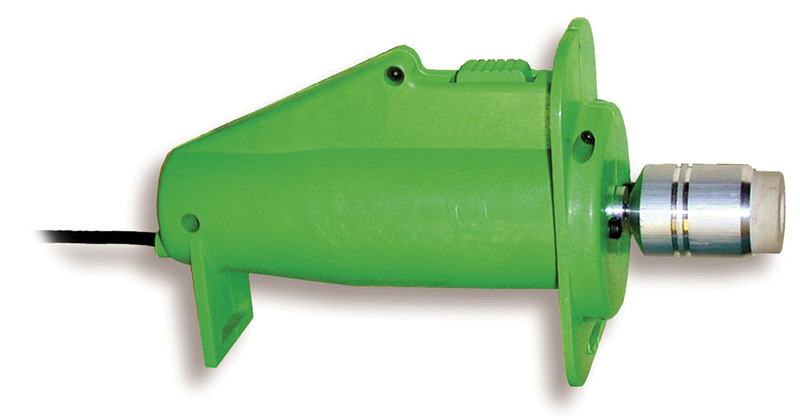 If you hold the starter at an angle to the spinner, the cone can “walk off” to one side. If you are applying a lot of forward force, you can damage the model or the propeller, and at the very least, the rubber insert will come out of the starter’s aluminum cone. FOUR. When you set up your model at the flightline, position your starter battery and the power cord so that they are clear of the model’s propeller. If you typically hold the starter with your right hand, have the power cord come straight back and around you, with the battery behind and to the left of you. FIVE. Always use a fully charged starter battery, and make sure that the clips connecting to your battery (or power panel) are properly secured so that they deliver the most power to the starter. If your starter and battery cannot easily start your engine, avoid the temptation to have someone reach in to help swing the propeller. This is dangerous and defeats the purpose of using the starter. Using these few tips will minimize the chances of damaging your model and will maximize your engine-starting efforts, all while keeping you safe during the process. Be sure to always clean your starter; don’t just leave it on the ground where it will get dirty. Have a space for it in your field box, and treat it with respect. Replace worn-out starter-cone inserts with new ones as old ones will slip and won’t deliver all the torque produced by the starter motor. Worn inserts also tend to slip out of place, leading to damaged propellers or models. 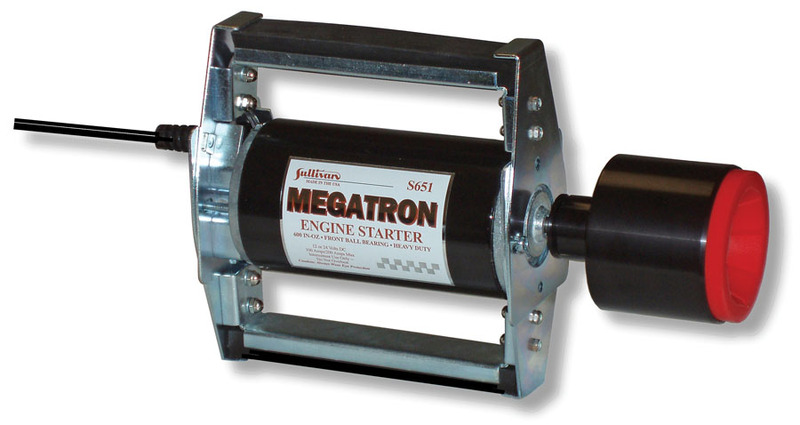 This two-fisted starter is designed to handle engines up to 5ci (80cc) depending on the engine’s condition and compression ratio. It has two steel handles and steel endplates, and features a big 3-inch aluminum cone with a durable silicone rubber insert. It can operate on 12V or 24V and has a maximum of 100 amps. The torque output is 600 oz.-in. at 12V and 1,200 oz.-in. at 24V. 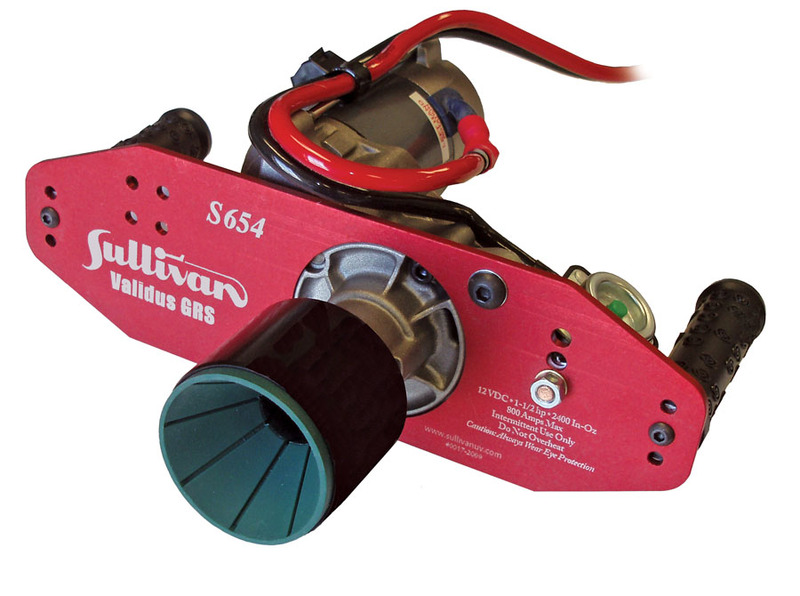 The Validus GRS is Sullivan Products’ biggest engine starter yet. Meant for the professional pilot who needs a starter that can handle the really large engines (up to 350cc), it features a 3-inch aluminum nose cone, a tough silicone insert, and heavy-duty 6-gauge wire with standard battery-post connections. And it is comfortable to hold, with double hand grips molded to fit the shape of your hand. With 1.75hp, the Validus provides huge starting power. Stall torque is 225 in.-oz., and it has a maximum amp draw of 600. Priced a $479.80, this is the mother of all electric starters. This handy little starter really packs a punch. For small airplane engines up to .15 size, it has a high-rpm motor, a heavy-duty bronze switch, and a reversible silicone drive adapter. These original standard Sullivan starters are suitable for most sport engines, and are capable of starting large two-stroke engines up to .60 size and many 1.20-size four-stroke engines. 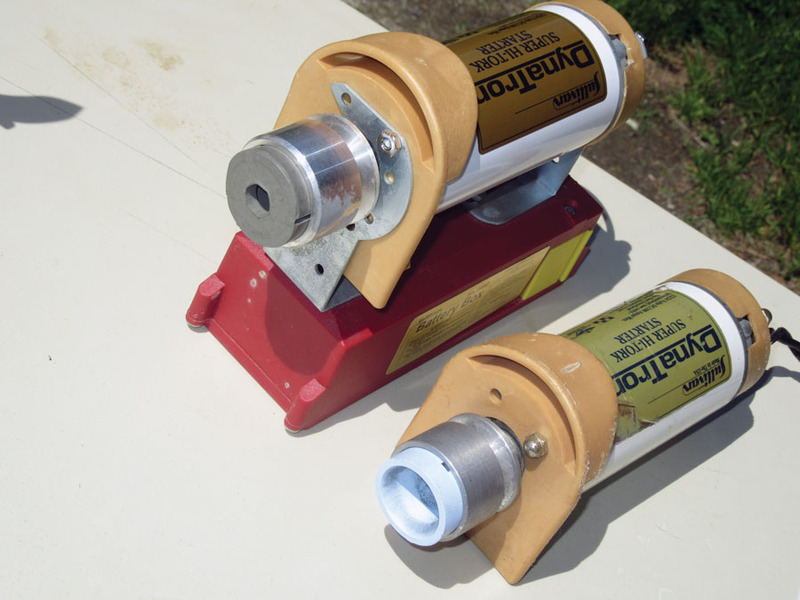 Regarded by many RC modelers as the gold standard, this starter is a field-box essential. It has amazing starting power and can handle most engines up to 2.4ci (40cc).